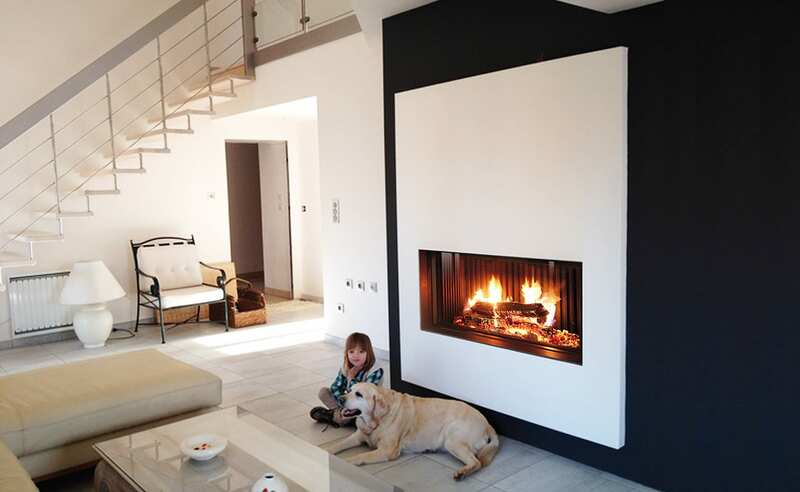 The Phenix Green zero-clearance built-in fireplaces from Bodart & Gonay of Belgium set a new standard for wood burning stoves. Equipped with the latest retractable door technology, it allows the user to enjoy the fire with the door open or closed. With the door lifted, you enjoy the warmth of a genuine open fire. With the door closed, you get a full view through the panoramic window and with the maximum efficiency range of 78% and exceptional heating power. The Phenix Green series is the winner of the Archinterious Best of 2014 Products. Phenix Green are available in four models: the 75, 85, 95, and the 120. The technological advances along with low CO and particulate emissions makes the Phenix Green fireplace an ecologically friendly product. thermostat keeps the temperature regulated. 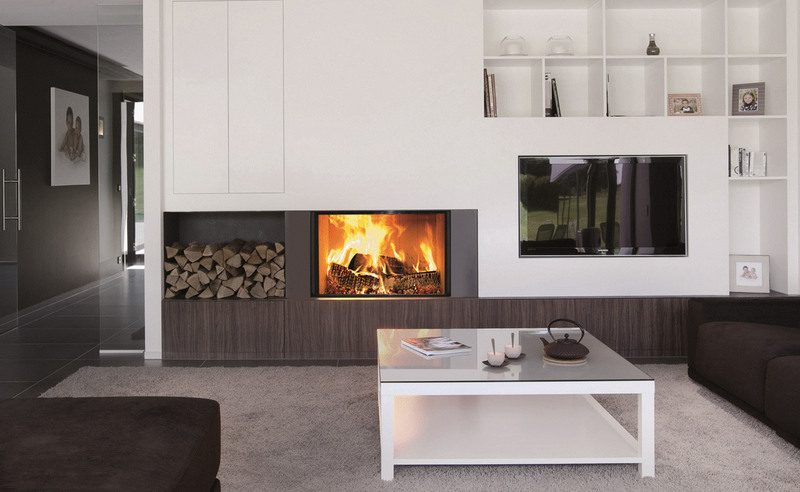 The Phenix Green series stand out as a contemporary zero-clearance built-in fireplace that allows for maximum fire viewing, high efficiency, and high quality standards. They can be used with a Class A chimney system. 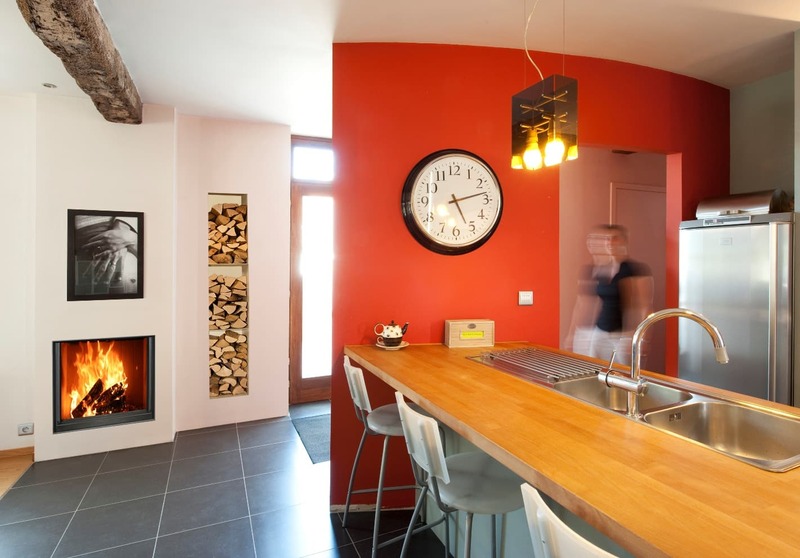 Heating capacity ranges from 2,200 – 3,000 square feet. The Phenix Green fireplaces are safety tested to UL 127 standards in the U.S. and ULC S6610-M87 in Canada. 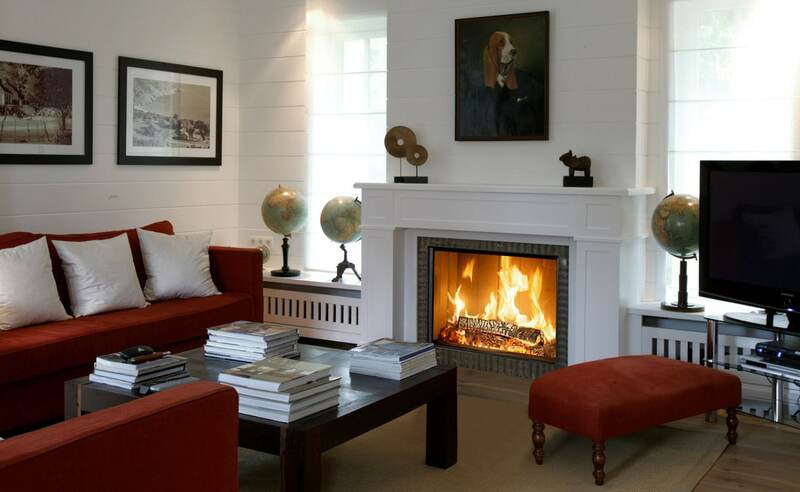 They are also EPA wood burning fireplace program qualified.